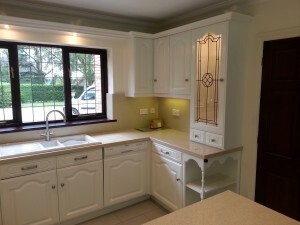 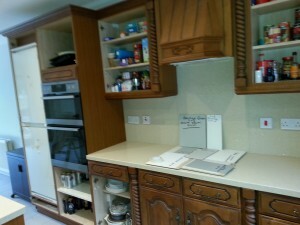 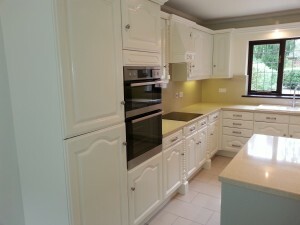 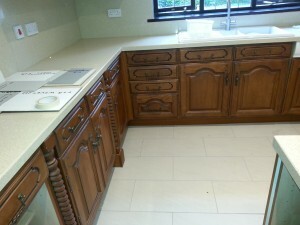 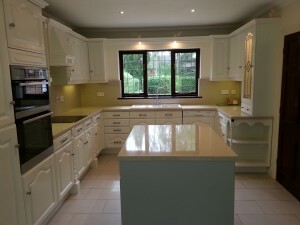 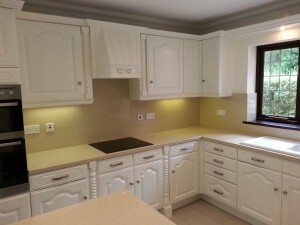 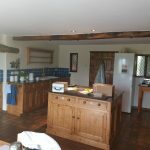 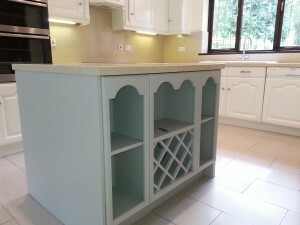 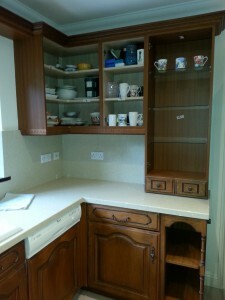 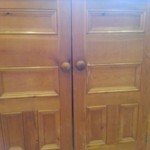 This Dark Oak Cathedral style kitchen was looking very dated and in need of a major facelift, The doors and drawer fronts where well made solid Oak, to replace the kitchen with the same quality would have cost many thousands of pounds. 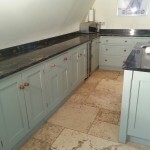 So the lady contacted Bells Kitchen Company in Northampton who recommended my services as i carry out all there Hand Painting Work. 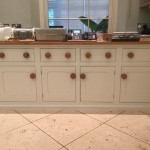 I supplied the customer with a Quote to fully Refurbish and Paint to a Hand Paint Finish, My Quote was around 1/3 of the quote the customer had to replace the Doors & Drawer Fronts with new. 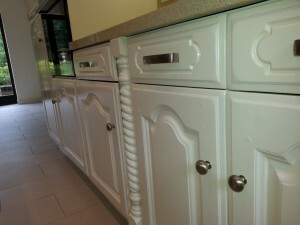 The final upgrade was to supply and fit new steel handles, As you can see from the before and after photos, Quite a Transformation after being properly prepared and 5 coats of paint applied by Hand.